Johanna is a servant girl to Dame Margery Kempe, a renowned medieval holy woman. Dame Margery feels the suffering the Virgin Mary felt for her son but cares little for the misery she sees every day. When she announces that Johanna will accompany her on a pilgrimage to Rome, the suffering truly begins. After walking all day, Johanna must fetch water, wash clothes, and cook for the entire party of pilgrims. Then arguing breaks out between Dame Margery and the other travelers, and Johanna is caught in the middle. As the fighting escalates, Dame Margery turns her back on the whole group, including Johanna. Abandoned in a foreign land where she doesn't even speak the language, the young maidservant must find her own way to Rome. 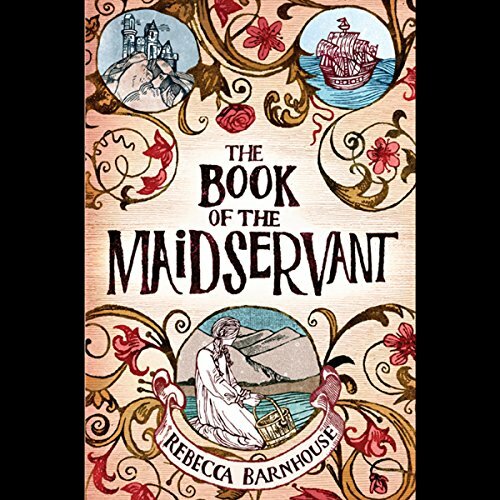 Inspired by the 15th-century text The Book of Margery Kempe, the first autobiography in English, debut novelist Rebecca Barnhouse chronicles Johanna's painful journey through fear, anger, and physical hardship to ultimate redemption. This was an easy to listen to story. The narrator was good. There was no climax, no suspense but it was an interesting tale based on some truth about what it was like to take a pilgrimage from England to Rome during the 15th century. It's told from the perspective of Johanna, a servant brought along on the pilgrimage by her employer. A real "boots on the ground" story. I recommend it.